San Diego’s Richard J. Donovan Correctional Facility is building sites for its new Farm and Rehabilitation Meals (FARM) program, a fresh project that hires inmates as farmers, teaches them sustainable agriculture practices and -- if approved by prison health authorities -- will put the produce on inmates’ cafeteria tables. The prison’s health care staff came up with the idea for FARM after noting astounding recidivism rates amongst inmates at similar programs. 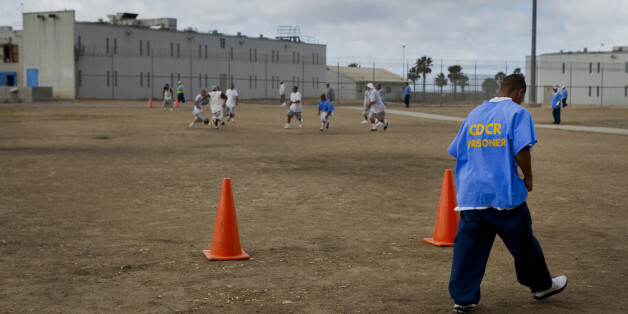 According to studies conducted at those facilities, Tucker told HuffPost, inmate farmers had prison reentry rates of only 5 to 10 percent -- a jaw-dropping figure compared to California’s abysmal 61 percent recidivism rate, one of the highest in the country. Despite the program’s promise, Tucker says these farms are “extremely uncommon” and that she is only familiar with two others in the U.S., one at California’s San Quentin State Prison and one at Rikers Island in New York City. She said the inmates have been extremely excited about the program, noting that a contest that called on them to create a FARM logo received so many good submissions that several of them will now be featured. The program is also an opportunity for inmates to learn about nutrition and ensure a healthy diet, CCHCS public information officer Liz Gransee told HuffPost, adding that the plan is to incorporate the farm’s food into the prison kitchen but that it must undergo an approval process first. Alternately, the produce will go to local food banks. She hopes that participating inmates will more easily gain employment upon release, especially in San Diego where sustainable agriculture skills are in high demand. Eventually, she’d like to offer inmates who work at FARM a certificate verifying their agricultural skills.